Bic Pic May 13, Some Cyclist Never Grow Up, But They Are Having Fun! As the spring temps continue to warm we caught this cyclist, who it seams never grew up. But it looks like he is having fun passing by the HaveFunBiking camera. 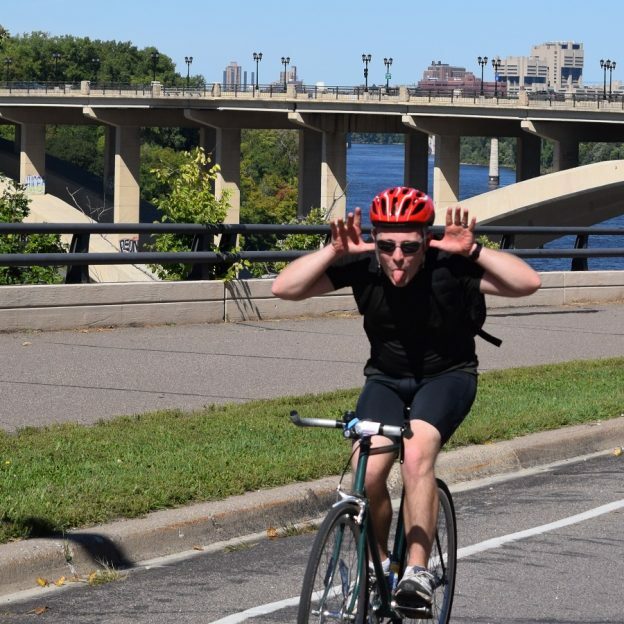 This entry was posted in News and tagged attention grabber, childish behavior, fun bike photo, fun on a bike, Minneapolis Skyline, Minnesota bike event, road bike, Saturday Bike Ride on May 13, 2017 by Russ Lowthian.